As a believer you need to be in The Word and you also need to grow in your knowledge of God The Father, God The Son and God The Holy Spirit as you continue your walk with The Lord. For instance, let's consider the Holy Spirit. 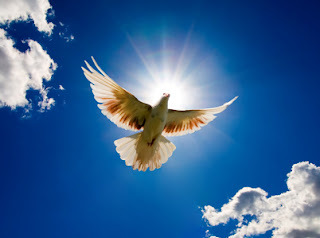 The Bible has answers regarding Who The Holy Spirit it? What His role is in our lives? When do we receive The Holy Spirit?...and more. I heard a Pastor say recently that you don't receive the Holy Spirit until after you are baptized but I have to ask, is that what God's word says? Let me clearly say, no, that's not what the Bible teaches. Baptism is an important step of obedience however, physical Baptism has nothing to do with receiving The Holy Spirit. We need to be Like "The Bereans" (See Acts 17) and take in what we hear and then pick up The Bible and then compare it to what God's Word says. And Read and listen to Study #7 regarding The Person and Ministry of the Holy Spirit. I actually highly recommend the entire study (Foundations of the Faith) as important topics of your faith in Christ are covered in this study. Be strong, Study God's Word and continually take everything you hear and read back to God's Word.